Home » Women's Health » What is Stalking? Sometimes it’s hard to tell if you have a stalker or just a little unwanted attention. What is stalking exactly and when should you start getting worried? 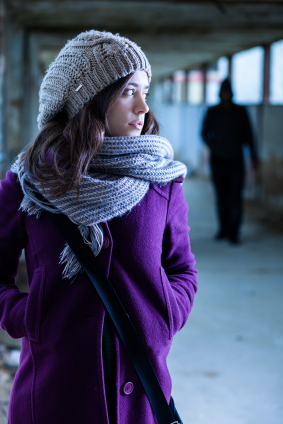 Here are some tips on what to do about stalking so you can save your life. Stalking is defined by obsessive, continual unwanted harassment from a stranger, acquaintance, friend, co-worker or ex-partner. Stalking behavior includes harassing phone calls, following the person around, sending a series of unwanted letters, or showing up uninvited to a person’s home or work. When you have a stalker, the harassment can continue for months, years, or even decades. Sometimes, it’s hard to tell if someone’s behavior could be considered stalking or if it’s just someone who can’t take a hint. You don’t want to freak out too early just because you’ve gotten a couple of unwanted text messages or he’s sent you a few love notes. However, the best way to tell if you’re being stalked is if you have clearly stated you are not interested in contact and the person keeps contacting you anyway. Once it’s become apparent that you definitely have a stalker, it’s important to know how to handle it. Knowing what to do about stalking can literally save your life. When you have a stalker, you have to document everything. This means keeping a pen and paper by the phone and marking down every time you get a phone call from your stalker. Keep track of all the times he’s called and what’s he’s said. If possible, get a recorder and record each phone call. Save your voicemails. If he shows up at your home or work, take photos but only if you can do so discreetly. A lot of stalking victims say that a restraining order isn’t worth the paper it’s written on. However, it does protect you by proving you’ve officially reported the harassment. If the worst happens and you’re left with no choice but to defend yourself with deadly force, you’re in a much safer place legally. When you have a stalker, the worst thing you can do is try to reason with him. Taking his phone calls, even if it’s just to tell him off, lets him know he’s getting a reaction out of you. He feels satisfaction just from hearing the sound of your voice, even if you’re swearing at him. Do not ever engage your stalker. When you first notice the unwanted attention has turned into stalking, let him know firmly and clearly you are not interested in further contact and that further contacted will be viewed as stalking. After that, do not engage. Stalking is serious and should be taken seriously. 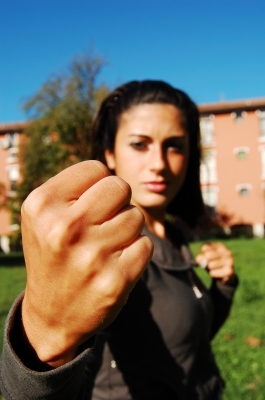 Now is the time to learn some self-defense and invest in a can of mace or a taser. If you feel comfortable about it, you may even consider buying and registering a hand-gun. He watches your every move, which means you have to be vigilant and ready to fight whenever you’re out (or home) alone. Stalkers are experts at isolating their victims. Not only do they continue to harass their intended target, they also try to destroy friendships and careers. You may find your friends and family members are getting harassing or manipulative phone calls designed to confuse and alienate those closest to you. Stalking can also put your job in jeopardy if he calls and shows up where you work. As soon as you understand that you have a stalker, tell your friends and family immediately. Let your boss know as well. Now is the time when you want to have as many allies as possible surrounding you. When you tell your side of the story first, he has much less of a chance of being able to win over those around you. Now that you know what to do about stalking, you can take better care of yourself and the people around you. Think a friend could benefit from this information? Share it with her now!